Robert Coward is a native Texan and resides in Houston. His travels span the globe, having visited every habitable continent save for Australia. He has sailed the Atlantic, Mediterranean, Caribbean, North Sea, Gulf of Mexico and the South China Sea. Mr. Coward lived several years in London and wrote Hell’s Gunman in the shadow of Big Ben. He’s been married to Carel Paulena Johnson for thirty-five years and has two daughters, Lou Ann (d. 1999) and Amanda. 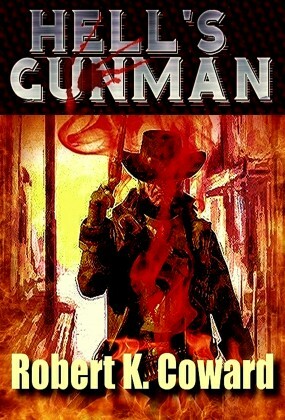 The author of several books, you will not find one of them in the same genre, making Mr. Coward a unique writer who spans the gaps between science fiction, true crime, fictional crime drama, action/adventure, fantasy, murder mystery and now, the Western.